Last week I had a chance to visit some dear friends I got to know quite well while on a study abroad in Jerusalem a couple years ago. Catching up with these people is always a treat. 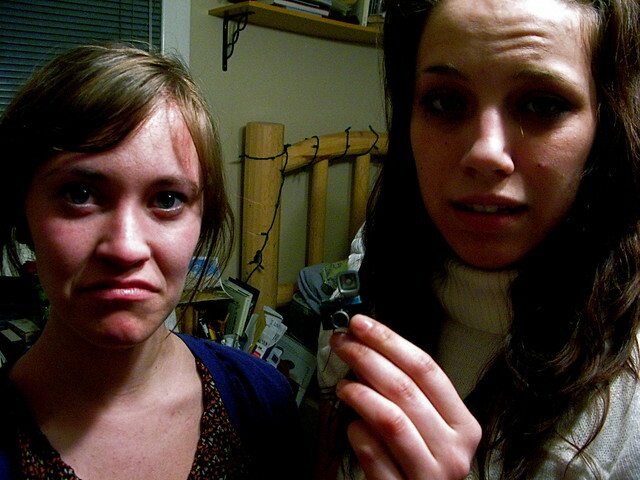 Brooklyn and Anna had a funny experience with ebay I just can't stop laughing at. Brooklynn thought she was going to be getting a steal of a deal by purchasing a hip new teal Diana film camera for 20 bucks. The reality of the situation was that when it arrived in a nice little package from China, it turned out to be extremely small and non functional. It was a Diana camera for dolls. No joke. We had a good laugh about it and brooklynn took it in stride. I think she will pay a bit more attention to the description on a products ebay page from here on out. TOO FUNNY. I love these gals. Picture 1: Brooklyn and Anna with nothing but disappointment on their faces. 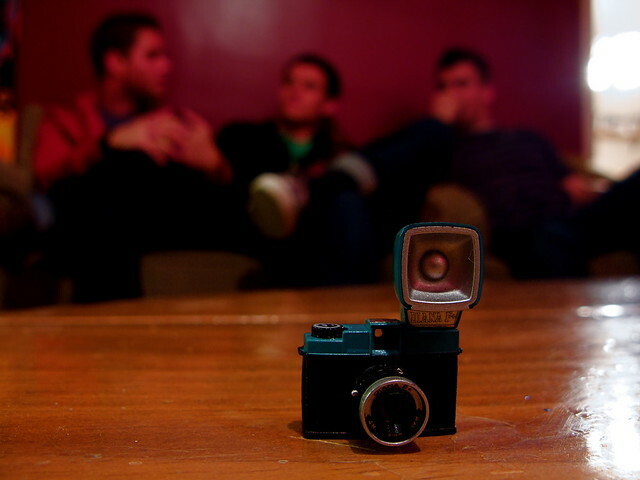 Picture 2: A close up of the tiny camera with Taylor, Jon, and myself conversing in the background. PS A big thanks Kate Hoffmire for opening up your home for the mini reunion. Oh my goodness. This totally cracks me up. Because I've done it before. :) hahaha.